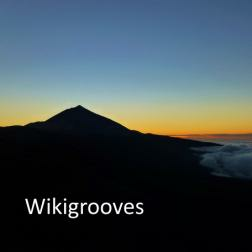 My happy place: just playing grooves with the the huge collective talent of Wikiloops. Whenever I'm feeling lost, down or whatever, this is where I go with my drums. Keeping time simple but trying to make everything feel as good as possible. This collection of tracks are some of the ones I feel everyone just got 'right'. I wish I could've added more. Thank you all! I would say you rock but no, you groove! this album is pure groove fun, full of fantastic ideas by great musicians. And -last not least- full of your outstanding drumming art. If you are searching for an example of how to refine well done grooving songs with suitable drums: Look no further, listen to this! Love this compilation Martin! will be a great bundle to listen up , it surely will be a great mood booster! your drums as always and no doubt, gave that tasty groove flavor ! love this album so much! So lucky to be part of this ride! Love the way these musicians give direction to tracks in such a groovy way! Your drumming is essential to these tracks and give steadyness, structure, coolness, lifting to tracks! Way Cool! Hope to do a lot more tracks together with you of course and all of the good musicians here! Whole lot of tasteful drumming with a great cast of players. Amazingly, a couple tracks I have not heard before. I really enjoy and respect your playing. GROOVE TO THE HIGHEST LEVEL! I have to thank that because of this I was able to find some of the grooviest which I haven't heard yet! Love it a lot!! M E R C I Martin! Listening to the first track already push you to stay and move your body and refresh your mood.